Virunga Foundation is an organization currently running Virunga National Park which is in Democratic Republic of Congo’s top and major destination mostly visited, it’s a Belgian organization which is more of managing this park like carrying out conservation programs, monitoring different species and primates in this park and more plus managing some of its accommodation facilities like Mikeno Lodge which is the best luxurious lodge in Congo and Kibumba Tented Camp which is of budget type. There is no Democratic Republic of Congo entry limitation to any one if you have provided all necessary documents required which include Democratic Republic of Congo tourist Visa, Yellow fever vaccination card and more, this yellow fever vaccination card is provided by your doctor in home country after a complete test but the tourist visa is provided by the responsible authorities of Democratic Republic of Congo at a cost of $100 USD per person. 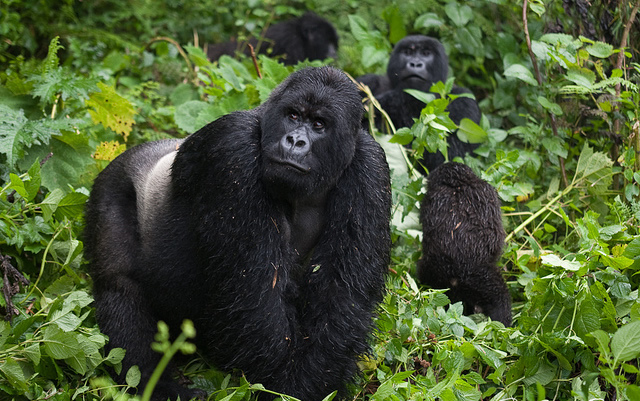 Eco Tours Rwanda in partnership with Virunga foundation will be responsible to apply for your Congo tourist visa in advance such that it is processed in time, a form for the visa is issued to you via email and you are required to fill it after you send it back to Eco tours Rwanda then forwarded to Virunga. This Visa will be processed in a period of one week after issued back to Eco tours Rwanda and it’s Valid for only seven days from its starting date. Hard copy of your Congo tourist Visa will be provided to you on arrival. Visiting mountain gorillas or Lowland gorillas in Democratic Republic of Congo you are required to buy a permit which issues you permission, this permit is booked in advance before your travel dates and its better you use a local tour operator when booking to avoid inconveniences and frustrations on the day of trekking, this Gorilla permit in Democratic Republic of Congo costs $400 USD per person and most times once this money is paid its non-refundable unless a clear reason is presented to the required authorities. Democratic Republic of Congo has a poor air transport system therefore its better you land in Rwanda at Kigali airport and you will transferred from there by a driver from Eco tours Rwanda up to Goma border where the tourist visa and yellow fever vaccination card is a must, clear with customs then from Goma border all transportation will be covered by Virunga all this booked with them by Eco tours Rwanda. From Goma border Virunga Safari jeep is available to transfer you up to your hotel of residence which is either Mikeno lodge or Kibumba tented camp. The mostly known accommodation facilities in Democratic Republic of Congo include Mikeno lodge which is the only best luxurious lodge in DR Congo, the only place in Democratic Republic of Congo where you can go budget is Kibumba tented camp and all this are managed by Virunga. Similarly, as far as accommodation its better you book with Eco tours Rwanda and in advance before your travel dates because they all tend to be busy and if you delay you may find when all rooms are booked.